This all-in-one terminal block allows you to combine up to 12 different power drops into one central location and power those drops from one transformer output. 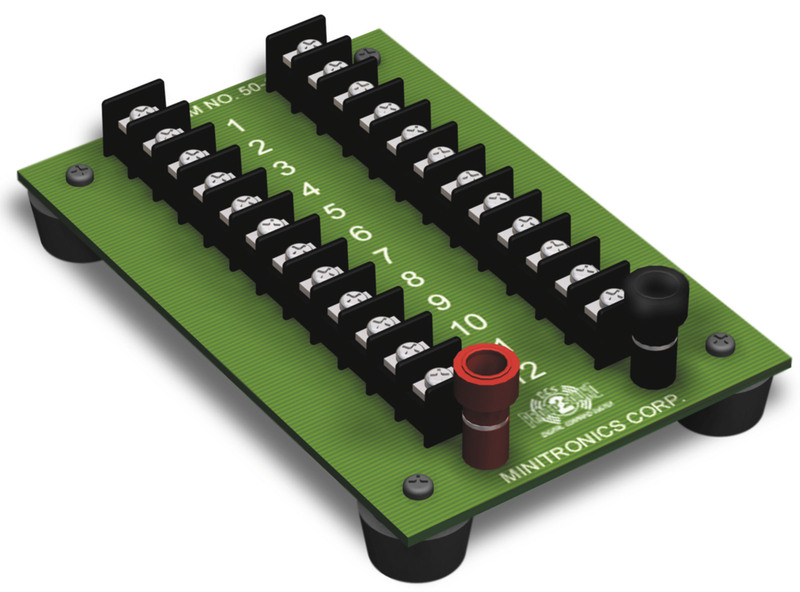 The terminal block is an ideal way to manage your layout wiring either for track or accessory power. The terminal block comes fully assembled and includes plastic insulating mounting feet. The unit can be mounted directly to the underside of your layout using ##6 x 11/4" (Not Included). Measures 5 1/2" x 4"